Anticipation is a common theme this time of year. Hunters all across the country are heading out into the field for another season. You might be reading this from a tree stand right now! It's not too late to make sure you are prepared for the season. 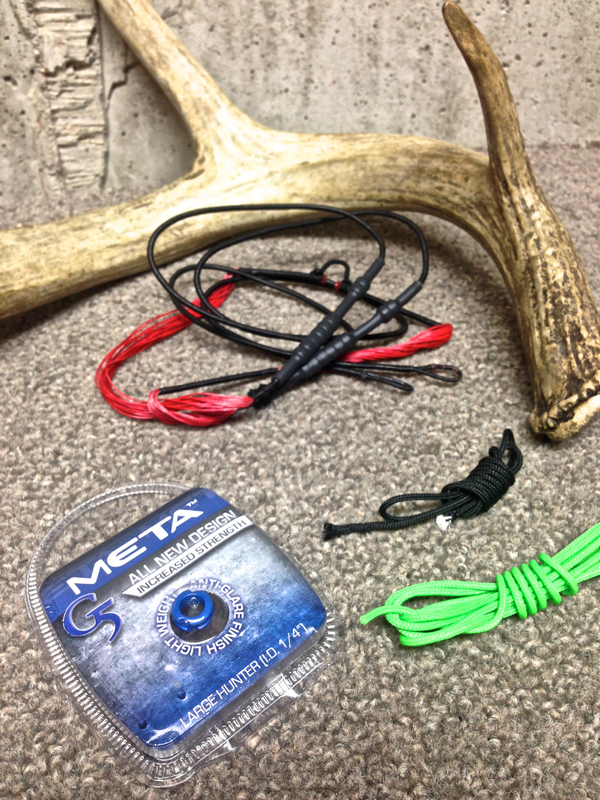 No matter what you are hunting with your bow we have a quick and easy checklist that might just save the day. Mobile 911 Tuning Supplies - Every pack should have this! Extra string, peep, d loop material, serving and spare hardware. 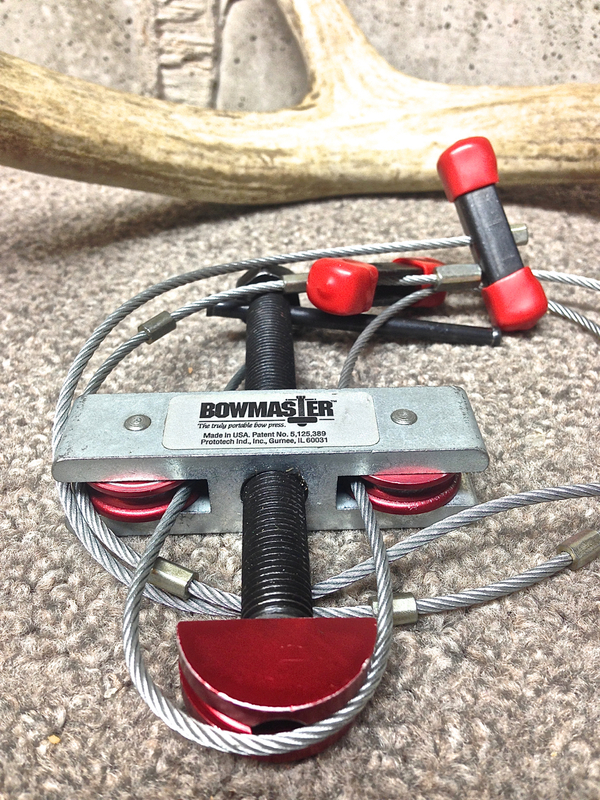 I would highly recommend a BowMaster portable press. These take up little room and will really make a difference. If you are 7 miles from camp and something happens, be prepared. If you are hunting out of state, these are a must. 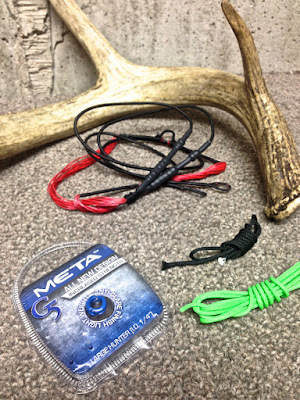 You have spent the time and money, don't let a cut string ruin a hunt. Extra Batteries - Check your batteries and carry a few extras for your GPS, RangeFinder and anything else you are counting on. There is no worse feeling that sitting in a tree with a dead range finder. ChapStick - Yep I said it. You are just about to put your face in the elements. Harsh sun, hot winds, cold winds, snow, rain, dust and the dirt. Having chapped lips a few days into a week long hunt can really bring you down. Pack it! Extra Release - If you shoot a release pack an extra! If you drop or break your release you are out of luck! Keep a spare release and use it from time to time, enough to break it in. 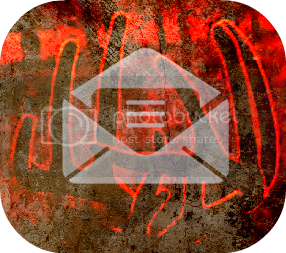 New releases can feel like a brand new baseball glove, not comfortable! 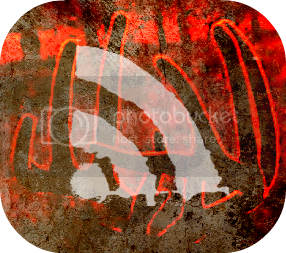 This one is often overlooked. - First Aid - We know you have it packed. Did you pack the small things like tweezers or finger nail clippers? Once again a small object that could make a huge difference in your physical and emotional state. 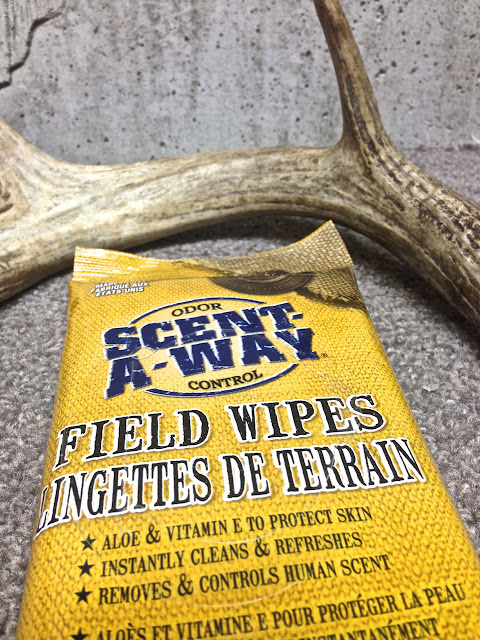 - Scent Free Wipes - If you are spending a long weekend or a week in camp, these are a must! Staying comfortable and clean can make a world of difference. Your hunting buddies will appreciate it too! For some the season might be a week and for others it might be upwards of 100 days. Regardless of how much time you have to hunt this year, make it count. We hope you find these simple yet easily overlooked tips are useful this season. No matter if you are heading to a tree stand in Wisconsin to hunt whitetail deer, or the Rocky Mountains in Colorado to hunt elk, a bow sling is a must. I will admit that wasn't always my feeling. In fact this will be the first year I will be using one personally. 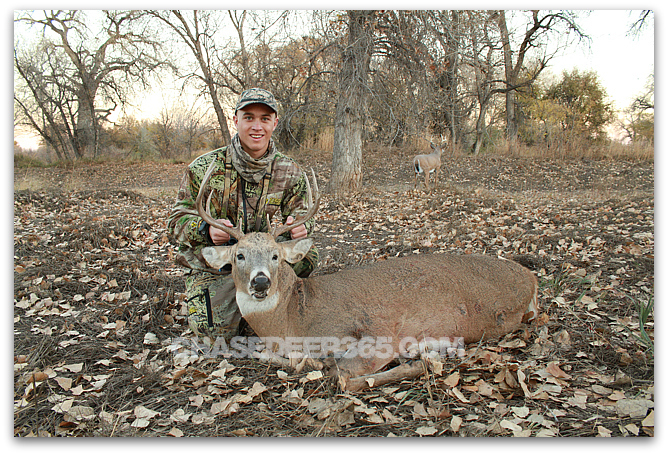 I have mentioned previously my goal is to improve my hunting experience year after year. As I reviewed each hunt from the 2014 season a few things stood out. One area that I had trouble with in 2014 was getting to my stand with all my gear, especially when hunting solo. I am a big advocate for entering smart into the deer woods. 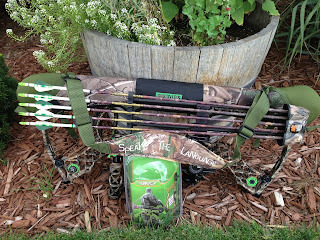 On one occasion I carried, Lone Wolf sticks, a stand, a Boss Buck decoy and my bow. Looking back now, that was just stupid. I made a lot of noise and worked up a pretty good sweat. With that in mind I set out for a good quality bow sling with a few specifics in mind. 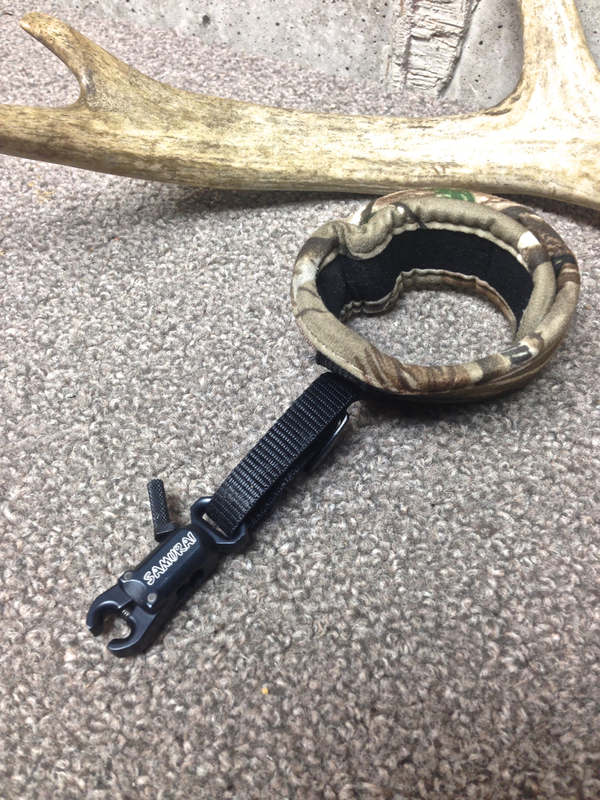 I wanted something that would protect my bow, and would be easy and quiet to remove quickly. I already have my day pack, so storage wasn't something I needed. 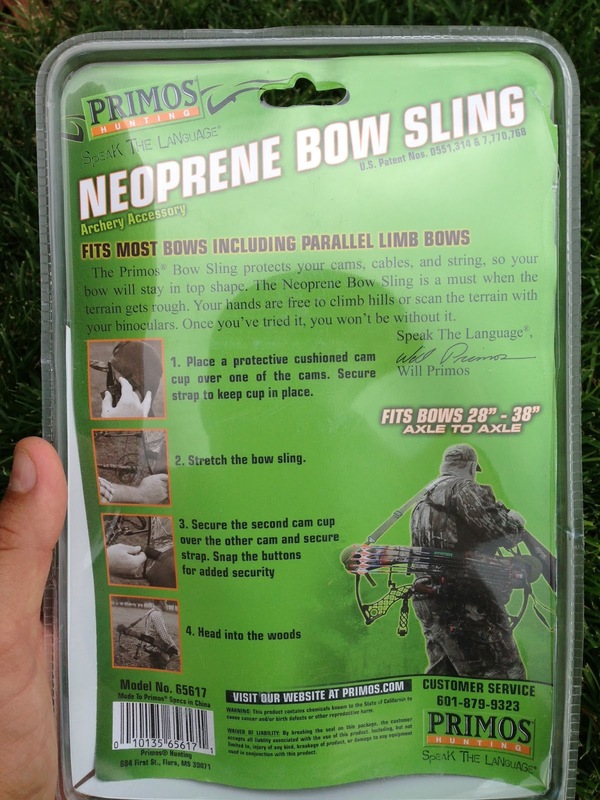 After looking at a few slings I cam across a new version of the Primos sling. 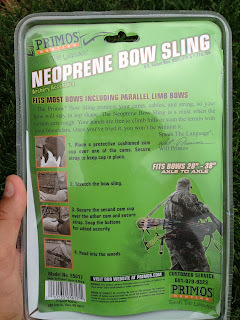 I guess I am a sucker because the bold words "NEOPRENE BOW SLING" caught my eye initially. 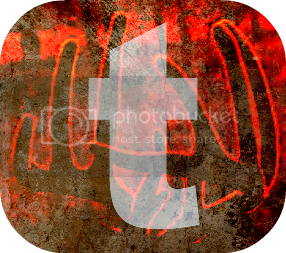 The packaging claimed to offer significant protection and appeared to be simple. The sling was a breeze to put on for the first time. I shoot a 30" ATA bow and it slipped on easy and fit really snug. 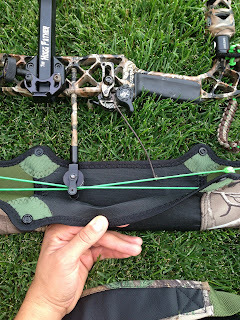 I was concerned that the sling might be a little loose since it had the ability to adjust out for bows up to 38" ATA. Not the case! There are clips on both ends to secure the bow around the cam as well as two snap clips to secure your string and cable. The shoulder strap was also easy to adjust to my liking. The buckles near the cams are covered with neoprene which makes them really quiet, no loud clicks! My 2014 whitetail season wont begin until October 1st, so I can't say this is truly field tested. I can say that I have already enjoyed using it at the range. I also like the fact that I can leave the sling on my bow when I put it in my case. For $30 this sling will provide protection for my cam, string and cable. That in it self is worth it to me. I am more excited to use this in the deer woods. I know this will help me enter the woods and get to my stand location quietly and still allow me to glass if needed or carry other gear. Each year that passes I try and learn something new in regards to outsmarting whitetail deer. Looking back over the past three seasons I can pinpoint one piece of my equipment that I know for a fact has increased my success in the deer woods. 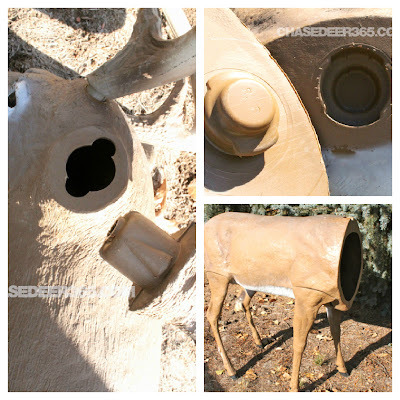 The Flambeau Boss Buck Decoy. 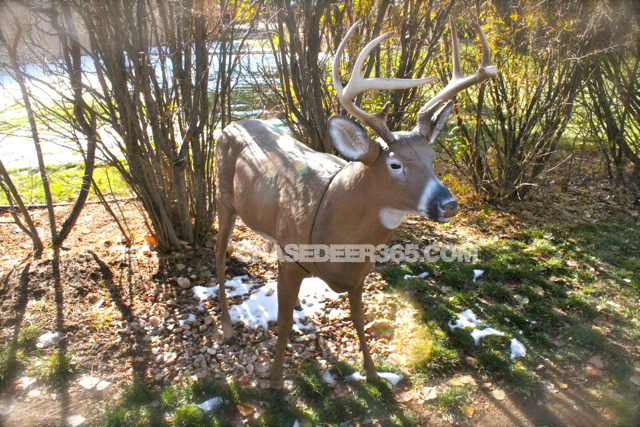 The Boss buck is one of the most realistic deer decoys on the market. 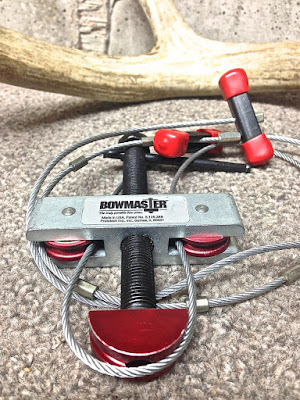 Combine the looks of the Boss Buck with traditional tactics like grunting or rattling and it's game on. 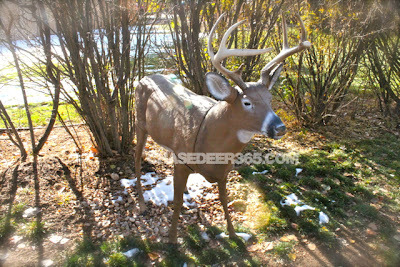 I can say with full confidence this decoy has increased my encounters with whitetail bucks. With the proper positioning and care it can be the difference maker. I have had both does and bucks have come in to my Boss Buck decoy for a closer look. The Boss Buck is a 120" 8 point deer. You might find yourself doing a double take the first time you put it together. It's amazingly realistic! I added a tail from a deer I shot previously to the decoy that I know makes deer feel even more comfortable. A slight breeze and the Boss comes to life with a little tail movement. 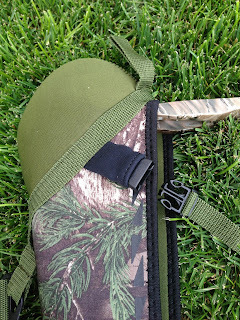 All parts of the decoy can be stored within the body cavity of the deer. The legs, ears and antlers easily lock into place. This allows for easy transport to and from your stand location. I have a few locations that I fully assemble to decoy where I park and carry in over my shoulder. One factor I contribute my success to when using the decoy is keeping it clean and scent free. During the off season I do store in my basement. 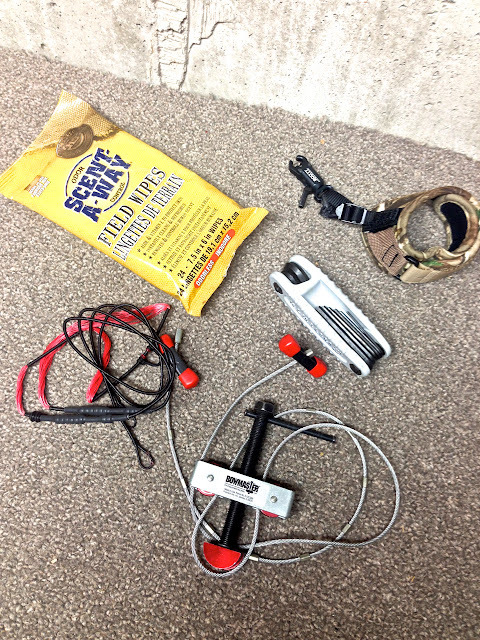 A few weeks prior to the season, I hose the decoy off in the yard and wipe down with scent free wipes. I also keep it outside for a few weeks before I plan to use in the field. 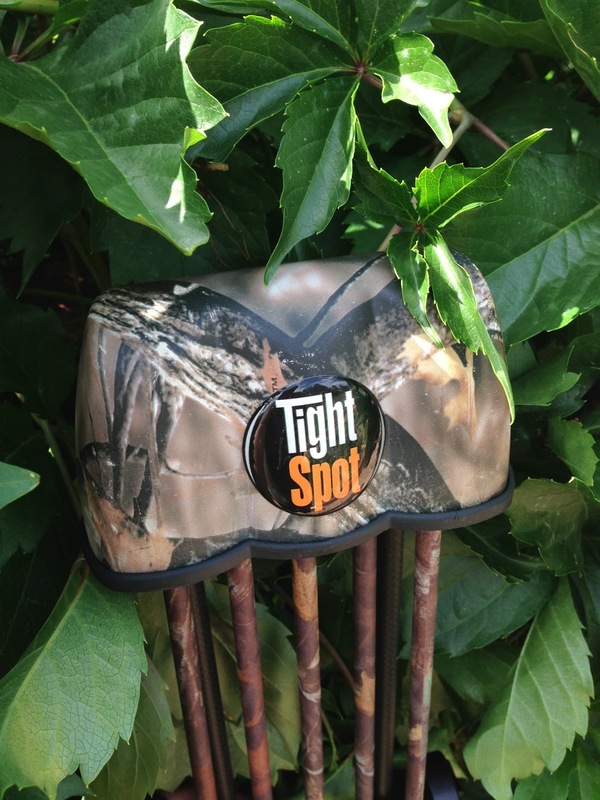 When using the decoy I have found it best to set the decoy up 20-30 yards up wind of my stand. While you can't guarantee where the buck might come from, you can count on him approaching from down wind. In two different situations this worked perfectly and the bucks approached between my stand and the decoy. The video below is some extended footage of an encounter with an 8pt that I hope to see again this year. He completed a 360 around my stand while making several scrapes. I can't say enough about the Boss Buck. It has added meat to my freezer and antlers on the wall! Not to mention hours of excitement in the stand. 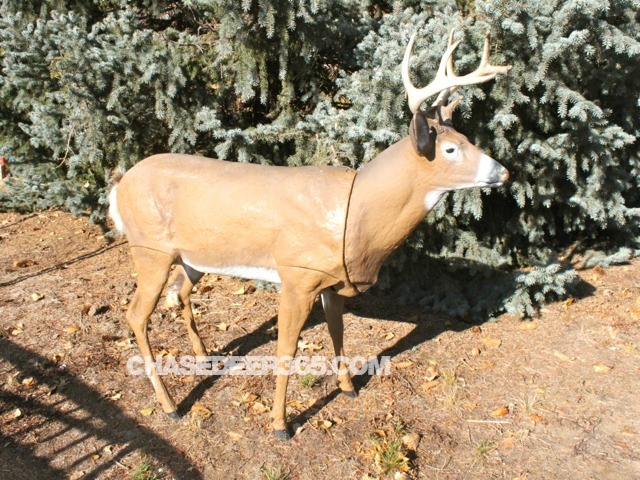 If you are looking for something to increase your odds I highly recommend the Flameau Boss Buck decoy. 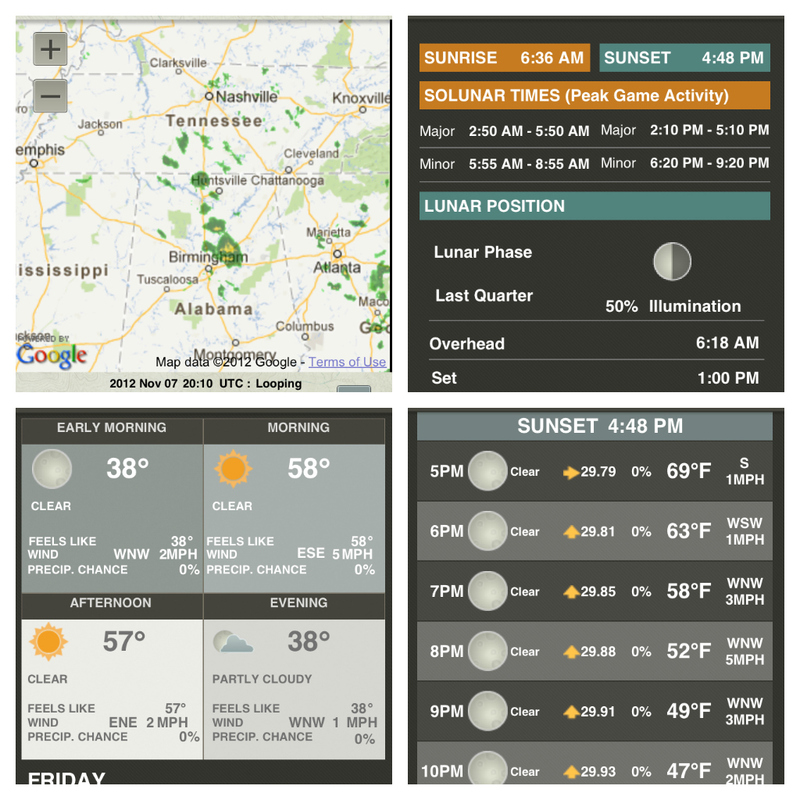 ScoutLook Weather App - Best $1.99 you can spend! Technology has taken us places we never thought possible. While I can do without a lot of it, there are certain things I've embraced, especially in regards to hunting and strategy. A few weeks ago I downloaded an app on my iPhone called ScoutLook Weather App. The application cost me $1.99. Note -- I rarely spend money on apps! I read through the description and a few reviews and thought what the heck, I'll give it a go. Wow! I am impressed to say the least. The application is incredible. As a deer hunter, wind direction is a major challenge I face any time I step in the woods. I have found myself in the past moving stands based on wind direction, even after I have been in the tree for an hour or so. 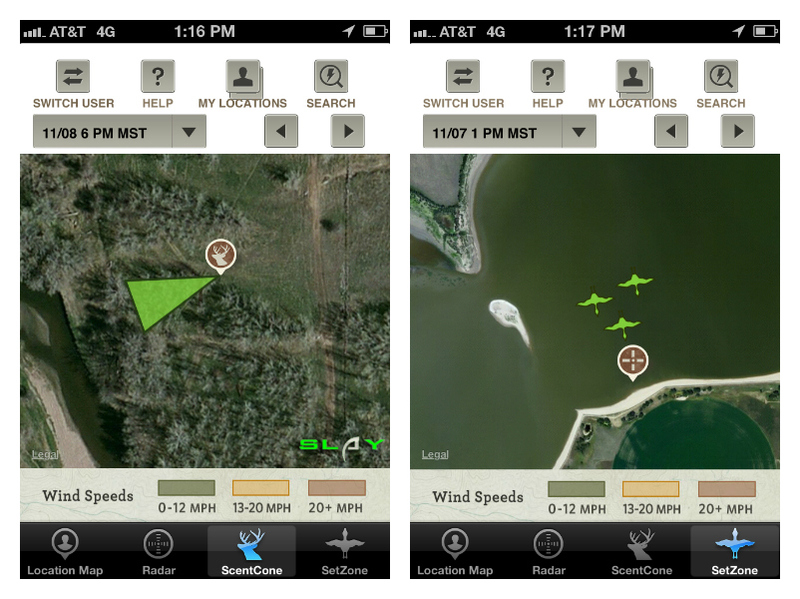 With ScoutLook I am able to view wind directions at my current location or specific stand locations I have preset. It's not just for the deer woods either! My favorite part is I can view the wind direction by hour. Maybe a set I planned to hunt has a bad wind in the morning, but it changes later in the day. It really takes a lot of the guess work out of my game plan. I have tested the wind direction in seven different stand locations and each time it has been 100% accurate! I was floored. I've even tested when out and about and it has been spot on. The best part is I can view the forecasted wind directions for up to 72 hours! My other favorite features include current, hourly and 7 day weather forecast. These show you sunrise and sunset times along with the moon phase. With the money you can spend on equipment these days, I think it is safe to say this is an incredible tool for just a couple bucks... who knows, it might be just what you need to make the right call at the right time and get a shot at a buck of a lifetime. 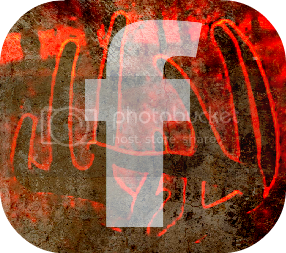 Its seems like more than ever we are bombarded with product advertisements and must have gear adds. I realize that the sport of archery is a business and a way of life for many people. With that said, it sure is frustrating to make a purchase with your hard earned money only for it not to function as advertised. Hopefully our gear review will be helpful to anyone who is looking to add to or update their gear this season. I've only used a few different quivers over the years. 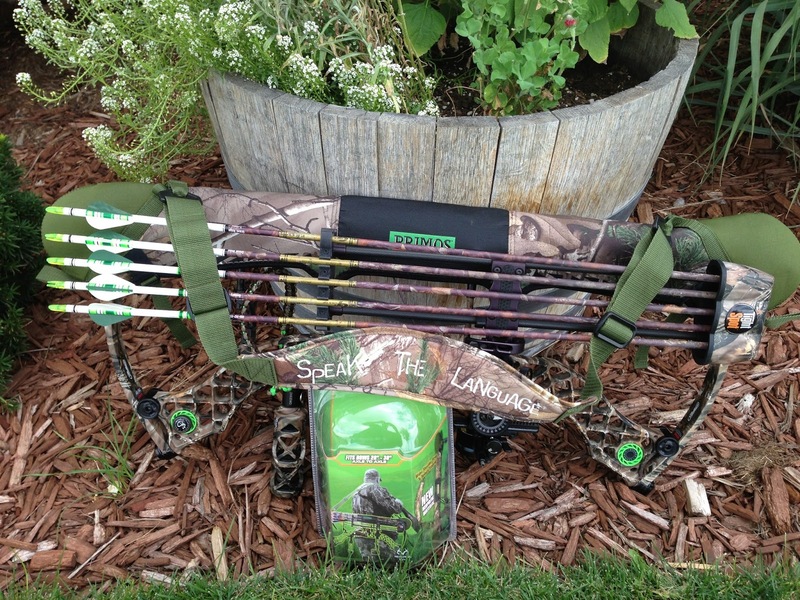 Most recently the Mathews T5 and the Alpine 5 arrow quiver. Anytime I go for new gear I ask myself one question, "will this help me be a better deer hunter". That might sound a little cheesy to most but I truly believe each piece of equipment I carry into the woods should increase my odds in some way. I had a few things in mind when I started my search for a new quiver this year. One, I really wanted a quiver that was quiet. 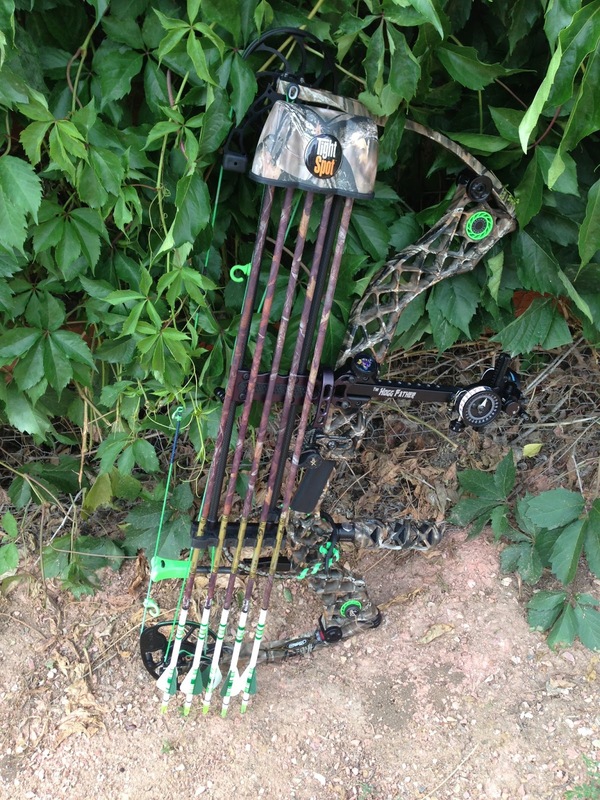 My only complaint I had with the Mathews quiver was noise from arrows slapping together after the shot. I also needed something lightweight. 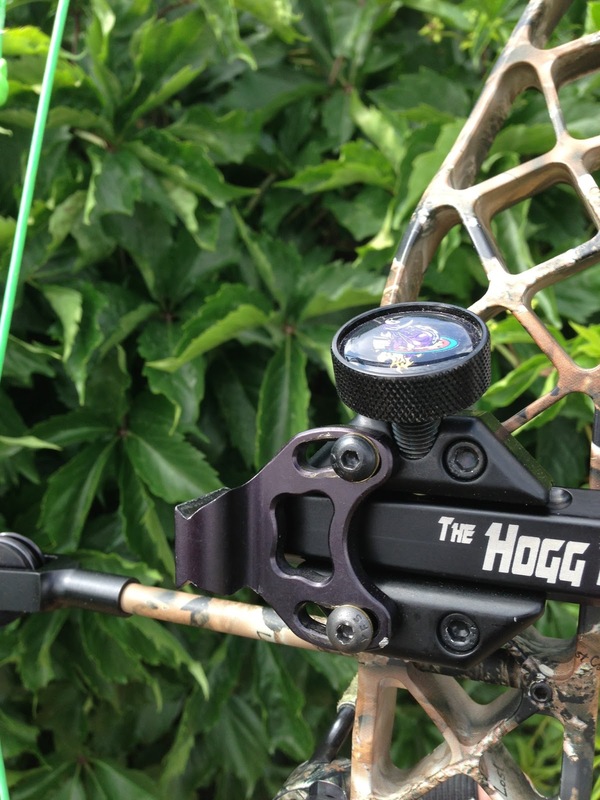 Lastly I needed the quiver to work seamlessly with my Hogg Father. I don't care for additional brackets or adapters. 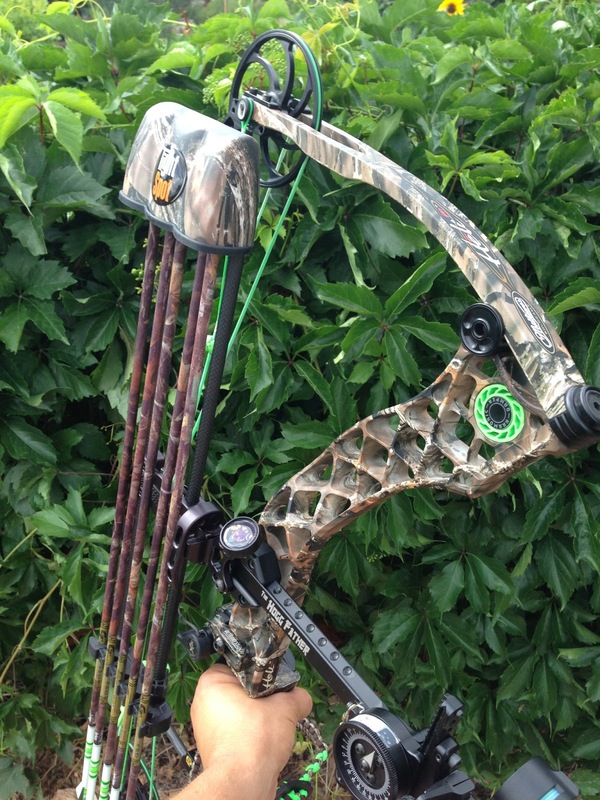 The first thing that stood out to me was how easy it was to take off my bow. I was able to do this quietly and with one hand, huge plus! The hood was solid and the new rubber insert seemed much more durable vs traditional foam. I also noticed that I could adjust the quiver depending on the diameter of the arrows I'm shooting. The Tight Spot also gives 14" of adjustability to move the hood up or down (great for longer arrows). 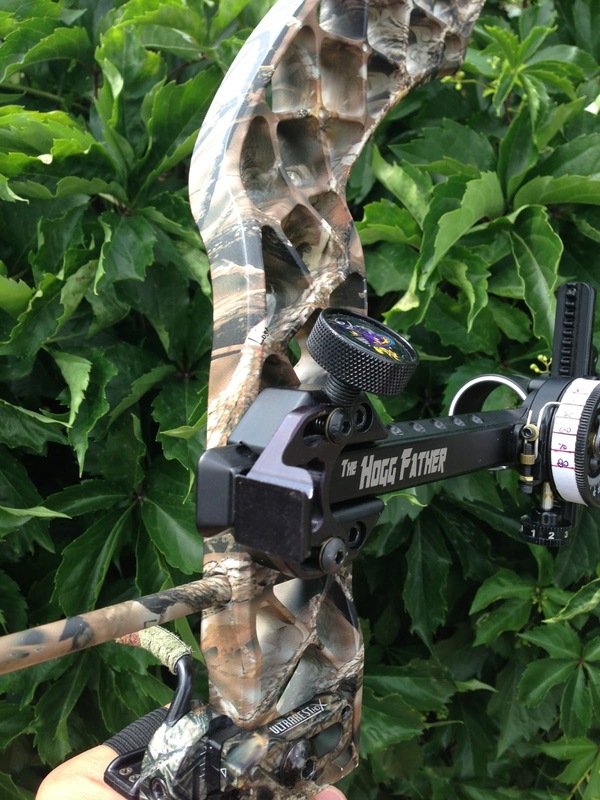 I mounted the quiver on my sight and away I went to the backyard. After a few shots and a few adjustments I was quickly becoming a fan. The quiver was very quiet. 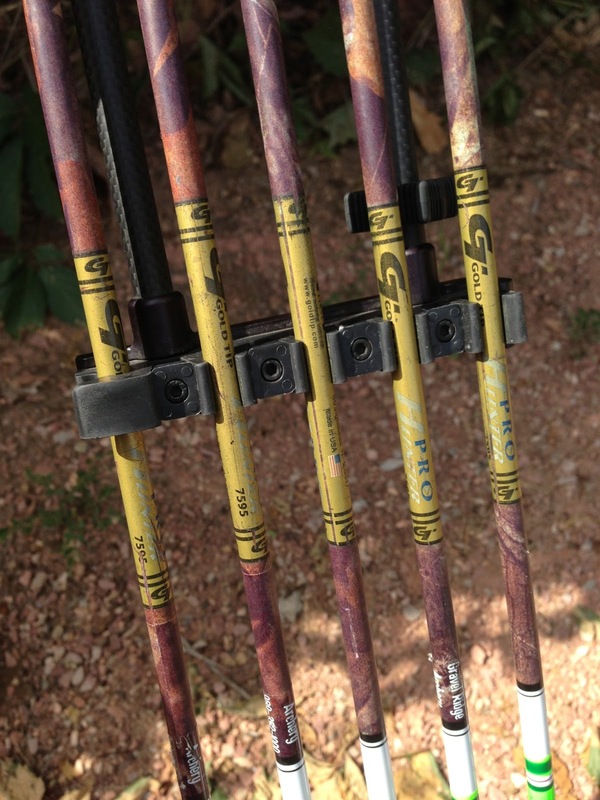 I wasn't getting any vibration or noise from my other arrows. Note the bracket can be mounted facing left or right. 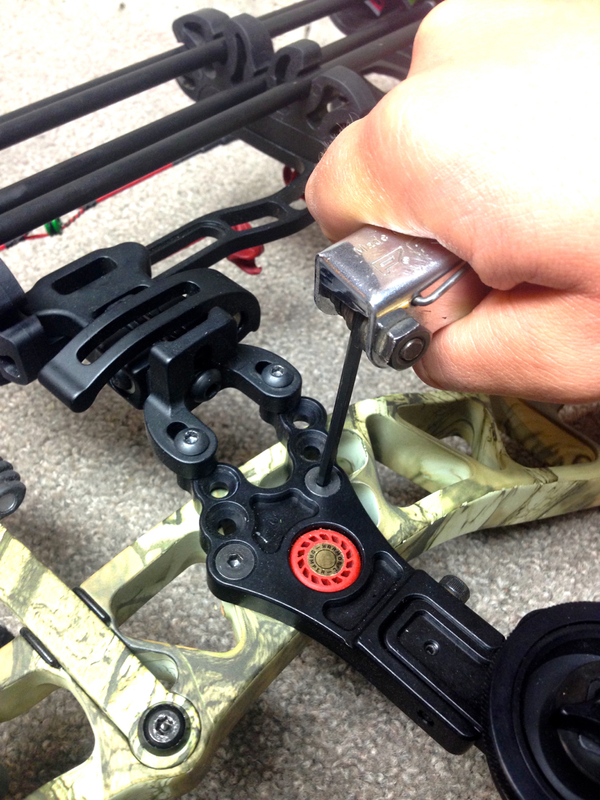 If you mount to your sight as pictured above it will allow for clearance with your dovetail sight. If mounted the other direction the quiver will mount even closer to the riser. I prefer to sacrifice the minimal spacing and have full functionality of my dovetail sight, specifically for storage. The quiver still mounts closer to the bow than any quiver I have used. The adjustability and function of this quiver is incredible. It is apparent that countless hours of testing went in to making the quiver fit as close to the limbs and riser as possible. I'm not sure I can say it makes me shoot better, maybe time will tell. I do know I will no longer be afraid of my quiver making noise after the shot. Rubber hood will last longer than me! Stay tuned for more updates and reviews on must have gear for this deer season!